Sublimation lanyards are incredibly resilient. They’re great if you’re planning on giving them to staff or employees that have to wear ID cards or badges on a regular basis, because they will stay vibrant, neat, and professional looking. They can also help save you from spending needless money on replacing lanyards that are starting to look worn out, and unprofessional. 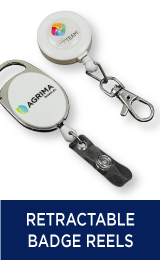 These sublimation lanyards are commonly used among businesses, companies, and establishments that require their employees to show an ID or badge. Some of these businesses include corporate offices and buildings, police stations, security officers, hospitals, and schools. However, they’re also known for being used at big events like charity events, political rallies, concerts, and more. Although these lanyards are typically given out to staff and employees, it’s also common for them to be given out to clients and staff as small promotional gifts. They can even be used as small party favors, due to the various unique fittings and quality imaging that is available. These sublimation lanyards are made with a polyester material, and we use CMYK digital printing colors that are both vibrant, and long lasting. They can be customized with any company name, business name, brand name, phone number, logo, or graphic that you would like. 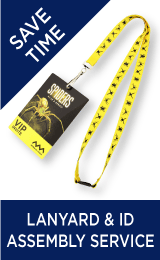 Sublimation lanyards will have the full text or graphic of your choice clearly printed on either side of each lanyard in your order. In addition to the promotional customization that we offer, we also have a wide range of custom fittings available for you to choose from. Some of the fittings that we offer are more traditional, and they basically just serve the purpose of holding and ID or badge. However, we do carry fittings that have a bit more flare. The more traditional fittings that we carry include a dog clip, crocodile clip, a trigger clip, a split key ring, and more. Some of the more unique fittings that we offer have additional features like the whistle fitting, the safety release clip, adjuster beads, short release clips, phone/camera holders, and much more. We take pride in giving our customers exceptional services, quality made products, and cost efficient prices. All of our sublimation lanyards come with a price beat guarantee. If you find these lanyards at a cheaper price somewhere else, we will lower our prices to beat theirs. Although we literally have the cheapest prices around, the quality of our services and products will never suffer for it. Our team of talented designers will create a virtual sample of your order and send it to you for approval, before production begins on your order. This will give you a chance to make any adjustments to your order that may be necessary. Everyone is always in a hurry in today’s society, and we understand that waiting around for a delivery is not something we always have time for. That’s why we offer a rush delivery service for people that are pressed for time. However, if you choose to have your order of sublimated lanyards rush delivered, please keep in mind conditions may apply. Your customization options may be limited, and additional charges may apply. 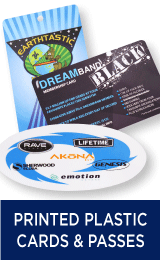 We also provide help to customers that need sublimated lanyards, but aren’t sure what would be right for their company or business. 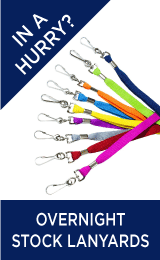 We will help you create an order of sublimated lanyards that are beneficial to your company or business. 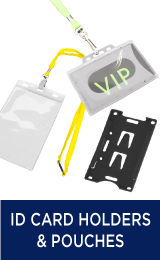 If you already know what features you’d like your lanyards to have, but would like to get a general idea of pricing, you can request a free quote online. After you apply for a quote on our website, you will receive an answer within 30 minutes. Our goal is to help your process with us be as stress free as possible.